*There will be no release today as we prepare for a MEGA RELEASE next week. Thank you for your patience! It's been nearly a year since Chairman Platinum last showed his face on Delta V -- the populace quickly gave him a proper EpicDuel beat-down and put an end to his plans for a hostile takeover. If there's one thing the Chairman is good at (aside from robbing grannies and punting kittens) it's holding a grudge. After a year of planning and healing, he's ready to end the fued -- along with all the inhabitants of Delta V.
Rather than bringing an army, the Chairman is taking a more subtle approach -- forcibly extracting all the Varium from Delta V to cause the entire planet to collapse! 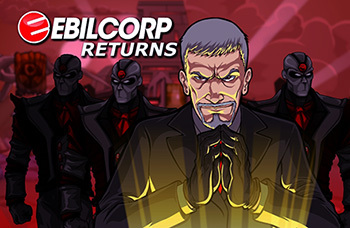 The Ebilcorp extraction device is protected by a nearly impervious shield and in order to breach it, you'll need to face the Chairman himself! This time, there will be no deals, no negotiations. The Chairman wants to annihilate those who wronged him and make a tidy profit while doing it. If only there were someone who could help us stop him! To defeat this otherworldy threat, Delta V will need an otherworldy benefactor in the form of Elon Musk, engineering mastermind and visionary businessman (basically the closest the real-world has to Tony Stark). While testing his new Ultraloop interstellar transportation device on a routine visit to a Martian colony, Musk overshot his target and landed on Delta V.
Although his ship was not damaged, he'll need some time to adjust his calculations. Since he's always up for a challenge calling for ingenuity, he's prepared to offer the citizens of Delta V his expertise in expelling the Ebilcorp threat and reversing Platinum's damage, offering Delta V a means of generating efficient renewable energy in the process! This task will not be easy, however, as Musk is lightyears away from his fabrication workshop. You'll need to scour Delta V to find the parts necessary to allow this benevolent genius to invent a permanent solution to your Platinum problem. As stated above, Musk will need your help securing various items from across Delta V to devise a means for you to defeat Platinum. Also, he's not letting you go it alone -- complete his mission chain and he'll join you in a battle of the business titans as you take on Platinum in an epic 2v1 duel! Complete the mission chain by defeating Chairman Platinum and you'll receive a new achievement! Chairman's Ebilcorp extractor is bad news, but Musk has plans to reengineer it to be a source of limitless energy! As an added bonus, the power plant will be able to produce advanced cores capable to augmenting basic stats! 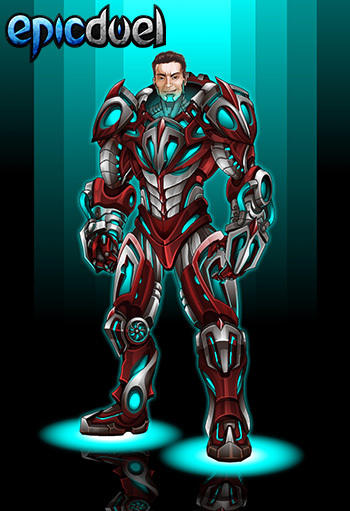 Musk sees you admiring his armor -- don't worry, he brought extras! Power up with the Musk Husk and send Chairman Platinum packing! Since next week will be a MEGA release, there are bound to be aspects that we forget to mention here. Stay tuned on Twitter and the Design Notes for the latest and greatest updates!